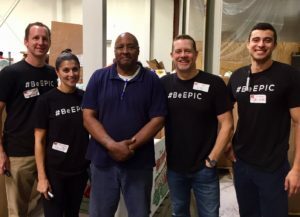 Everyone at Epic Capital wanted to do something for the families suffering from the devastation that took place in Puerto Rico during the hurricanes. So we spent our morning sorting donated goods that will be shipped down and disseminated to those in need. It is extraordinary what the Second Harvest Food Bank of Metrolina does, serving over 725 non-profits in the Carolinas, and doing the work that needs doing to support those in the time of crisis. Bravo Mark and team. Please consider making a donation, or reach out to them and serve as well!